The Phase 2 clinical trial seeks to enroll a total of 50 study participants with mild to moderate AD. Previously studied in animals and in a small study to assess safety in humans, CERE-110 appears to induce long-term production of Nerve Growth Factor (NGF) by brain cells. NGF is a naturally occurring protein that helps nerve cells, or neurons, survive in the brain. 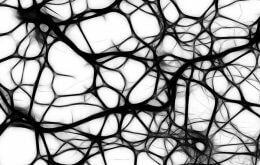 These neurons produce a chemical, acetylcholine, which plays a vital role in memory and cognitive function. “Since NGF supports the survival and function of the neurons that deteriorate in people with Alzheimer’s disease, we hope to slow the worsening of their symptoms with this new therapy,” says James Lah, MD, associate professor of neurology, Emory University School of Medicine and lead investigator of the study at Emory. During the Phase 2 clinical trial, a neurosurgeon will inject CERE-110 directly into the nucleus basalis of Meynert (NBM) of the brain, an area where neuron death occurs in AD. CERE-110 packages the gene for NGF within a shell from the adeno-associated virus. Putting an extra copy of the NGF gene into cells drives them to make more NGF. The original virus is not known to cause disease – and as an extra precaution, most of the insides of the virus are removed. “Adeno-associated viral vectors like the one used in this study have proven safe in extensive animal testing, as well as several other human trials for neurodegenerative diseases,” says Nicholas Boulis, MD, assistant professor, department of neurosurgery, Emory University School of Medicine. Boulis has previously conducted neurosurgical adeno-associated gene therapy and is performing the surgery in the Emory study. A Phase 1 study was conducted where the treatment was found to be generally safe and well tolerated. The 10 subjects underwent cognitive testing, measures of activities of daily living, and MRI and PET (positron emission tomography) scans. Researchers observed increases in brain metabolism in several cortical regions of the brain at six months and 12 months in some of the participants, as compared to other severity-matched individuals with AD, suggesting a potential reversal of patterns typically observed in AD. With follow up ranging from six months to more than four years post-treatment, there have been no side effects thought to be caused by CERE-110. In previous studies, CERE-110 reversed brain degeneration in aged animals and in animal models intended to create cholinergic degeneration, a feature that characterizes changes in early AD. The overall study is conducted by the Alzheimer’s Disease Cooperative Study (ADCS), a nationwide consortium of research centers and clinics supported by the National Institute on Aging (NIA), National Institutes of Health, and coordinated by the University of California San Diego. Ceregene, Inc., the study sponsor, is a San Diego-based biotechnology company providing CERE-110 for the study. For more Emory information, contact Stephanie Vyverberg at 404-728-6589.